UltraFast One-Day & Low Temp Application Floors, Fast Drying Epoxy! 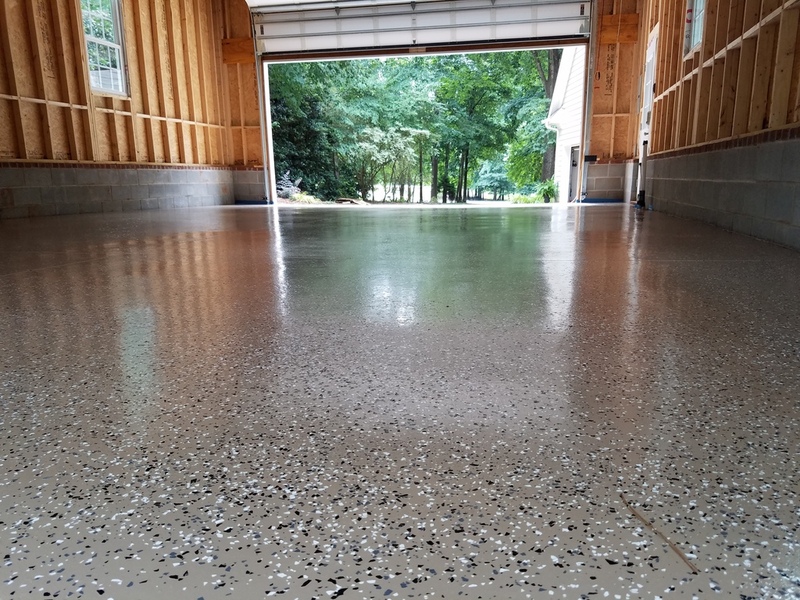 ArmorPoxy UltraFast fast drying epoxy is a series of two different revolutionary proprietary floor coating systems where specific needs such as immediate back-in-service times, outdoor use, or where low-temperature applications are required. UltraFast is the next generation beyond epoxies using NASA-formulated copolymers, and polyaspartic formulations to achieve amazing floor coating results with minimal downtime. UltraFast is great for commercial kitchens, bakeries, airports, prisons, cafeterias, garages (where you can’t leave your belongings outside overnight), low temperature situations such as coolers and freezers, warehouses and garages that are cold and have no heat and factories & industrial use where the normal 3-7 day downtime of epoxies can’t be tolerated and thousands of other applications. Great for car dealers and repair shop environments that need to be ‘back to work’ quickly. Although UltraFast is more expensive than epoxies, frequently the shorter curing times make it far worth the additional expense. Ultrafast is extremely resistant to all types of acids, solvents, fuels, oils and paints. It’s almost impossible to remove. All UltraFast systems are available as 100% complete ‘Job on a Pallet’ kits that contain all necessary prep materials, special rollers, nonskid additives, frames, mixers, etc. ArmorPoxy also offers another alternative for quick installs, our SupraTile Interlocking Floor Tiles www.supratile.com. The Ultrafast Series comes in two different versions. The first version is called UltraFast-LT (low temp version). Ultrafast-LT is a polyaspartic hybrid polymer that mixes easily at 1:1. Can be applied at temperatures from -20 up to 100 degrees. This product is manufactured in clear and can be easily field tinted with our ‘tint packs’ (see Online Store). Can be used as a primer, mid-coat to broadcast flecks into, or a topcoat. Normally back in service in 24 hours or less. This system mixes and applies like traditional epoxies. With the UltraFast-LT System you can apply everything the same day. Decorative flecks can be applied if desired. Can be used for outdoor use and is non-yellowing/UV stable. The second version of UltraFast fast drying epoxy is called Ultrafast-PS. (standard temp version). Ultrafast-PS is a polyaspartic hybrid polymer that mixes easily at 2:1. Can be applied at temperatures from 35 up to 90 degrees. Product is manufactured in clear and can be easily field tinted with our ‘tint packs’ (see Online Store). Can be used as a primer, mid-coat to broadcast flecks into, or a topcoat. Normally back in service in 24 hours or less. This system mixes and applies like traditional epoxies. With the UltraFast-PS System you can apply everything the same day. Decorative flecks can be applied if desired. Can be used for outdoor use and is non-yellowing/UV stable. Since all jobs/projects are different, for UltraFast Systems we request that you contact us by phone (888-755-7361, M-F, 9-5 EST) or via email with job size, what type of system you want, etc and we can get you a quote normally within 30 minutes.